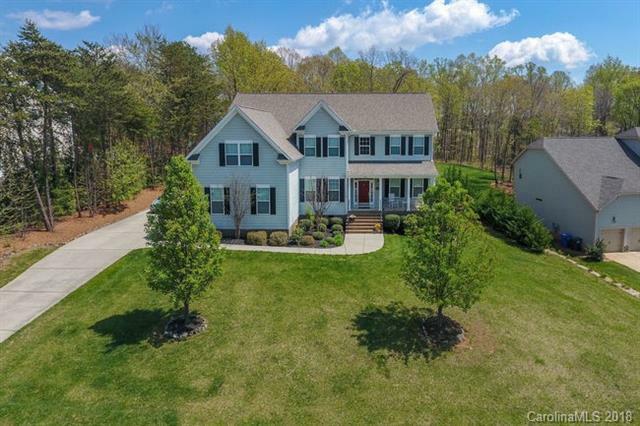 Incredible deal in Chesapeake Pointe! Priced $50k-$120K lower than other homes for sale in same community, & larger than all but one. If you have been looking for instant equity, this is the house. Beautiful kitchen w/gorgeous granite, tons of natural light, stainless appliances & modern light fixtures. Gleaming hardwood floors, dual staircases, private lot & 3 car garage are just some of the special features. Incredible floorplan w/room for everything-no dual purpose rooms in this house: dining room,breakfast room,two family rooms,separate office, loft for playroom/game room, plus huge bonus room for pool table, movie screen or both! Owners' suite features tray ceiling, 2 walk-in closets, huge ensuite bath w/soaking tub, sep tiled shower & 2 large vanities. Two good sized secondary bedrooms that share full bath & large, secluded guest suite/teen suite w/private bath. This home has it all! Be sure to view the 3D virtual tour! Tight knit, social community featuring pool & playground.